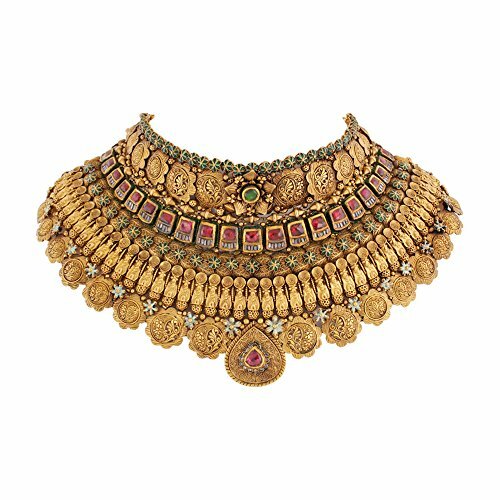 The largest, heaviest and most expensive Yellow Gold Necklace Designs from Indian Jewellers. Great for Investment and wearing on special occasions, definitely reserved for those with the very deepest of pockets with many above 5 Lakh. All of these heavy duty Gold Necklaces come listed with Price in Indian Rupees (INR, RS.) and available to be purchased online and delivered securely to your door. Waman Hari Pethe Jewellers is a renowned brand for expensive and high-quality Indian Jewellery, with the following 100gm + Gold Necklace Designs a testament to that. Although not as popular as the likes of BlueStone or Tanishq Jewellery, the quality that oozes from WHP Jewellers Gold Necklaces is clear to see. Gold Jewellery Items may be returned within 10 days from purchase. 90% Buyback Value is offered on Gold Products in WHP Stores across India. Lifetime Warranty offered by WHP Jewellers. 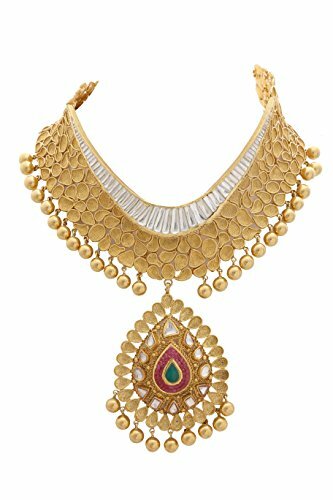 Purchasing WHP Jewellers 100+ Gram Gold Necklaces via Amazon India adds convenience to payment and is the same as buying from the retailer itself. Considering they are the ones selling via the e-commerce platform. Check out these Kundan Choker Necklaces from a more recent article. An exquisite piece from WHP Jewellers, made from vibrant 22k Gold, offering 30.95 carats of Emeralds perfectly placed over 140.67 grams of 916 Yellow Gold. The extravagant choice Emerald & Gold Necklace for those looking for among the best necklace money can buy, costing over 5 Lakh Rs. it’s incredibly expensive but still cheaper than the behemoth below. This is huge, over 6 ounces of 22kt yellow gold in a single piece of Jewellery. On order, the item will be custom made for you to this particular design. Looking to invest a huge sum into Gold and a beautiful classy piece at the same time? This really is something to consider.